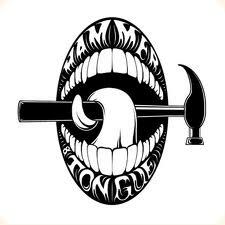 Hammer and Tongue is the UK’s largest slam poetry network, set up by Steve Larkin back in 2003 in Oxford. I’ve been running H&T slams in London since 2007 and am the founder and host of the Camden gig, which happens on the second Monday of the month at the Green Note Cafe in Camden. It’s a brilliant night and we are incredibly lucky to have some of the world’s best poets appear on our stages. We’ve welcomed John Hegley, Amber Tamblyn, Kate Tempest, Derrick Brown, Buddy Wakefield, Simon Munnery and many many more over the years. The beating heart of the night is of course, the slam. Previous Hammer and Tongue national slam finalists have gone on to glittering careers as spoken word artists in their own right (check out the fabulous Dizraeli here). It’s a real joy to be part of, come along sometime and get involved. More info in the gigs bit of the website.